Reflections on Reading and Discussing Rob Nixon's Slow Violence and the Environmentalism of the Poor. Learning rather late of an Osgoode Hall (York Univ.) 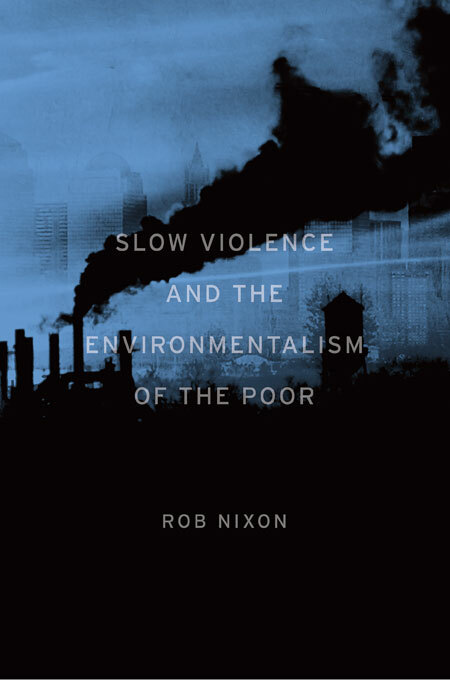 workshop with Rob Nixon focusing on his recent book Slow Violence and the Environmentalism of the Poor I seized the ironic moment and read the book (very un-slowly) in three days. I long for the days (pre-family, pre-parenthood) when i could savour the text. And Rob's text deserves savoring on several levels - starting with the deftness and elegance of his prose. I respect most writing and have an infamous (amongst some friends) tolerance for poor writing (assuming the storytelling - or special effects if we're talking about cheesy sci-fi films - has merit; i blame Kirby comics) but i greet fine writing with a feeling of astonished joy. And Nixon is a fine writer who draws on and refers to many other fine writers many of whom have long been cherished favourites (John Berger, Edward Said, June Jordan, Eduardo Galeano, Arundhati Roy to name only a few) and many whom i am now determined to read (Ramachandra Guha, Anna Tsing, Abdelrahman Munif, Indra Sinha whose Animal's People awaits my completion of another book and writer Rob recommended over lunch: Robert Macfarlane's The Old Ways: A Journey On Foot - it's giving me itchy feet that only an impossibly-cute-four-year-old - and his mother and sister - can keep rooted). "Slow violence" is one of those namings of true things that are elusive if not invisible until named. Nixon, the Rachel Carson Professor of English at the University of Wisconsin, proposes that disasters that take decades (if not generations) to unfold are a form of violence which is best called "slow" and which primarily affect the poor. Examples of slow violence include polar ice cap melting, deforestation, topsoil degradation and loss, the spread of toxins following their use in war or their application in agriculture and manufacturing and, of course, climate change, to name only a few. Nixon examines some key struggles each of which includes the participation of "writer-activists" each of whom garnered (with some continuing to do so) worldwide attention: Ken Saro-Wiwa and the Ogoni struggle against the Nigerian government's and Shell Oil's exploitation of oil in the Niger Delta; Kenyan environmentalist and political activist Wangari Maathai, founder of the Green Belt Movement and recipient of the 2004 Nobel Peace Prize; Arundhati Roy and the struggle against the Narmada Dam development in India, and others. Nixon creates appropriately complex (and multivalent if not polyvocal, for the Bakhtin-nerd in me) pictures of these struggles and the writer-activists who play crucial roles in communicating the meaning of these struggles to the wider world. How can environmental writers craft emotionally involving stories from disasters that are slow-moving and attritional, rather than explosive and spectacular? This is a particularly pressing question for our age, as the news cycle spins ever faster, as the media venerates spectacle, and as public policy is increasingly shaped around what are perceived as immediate needs. In the theoretical/conceptual domain, Nixon poses numerous and diverse (sometimes implicit) challenges two of which became clear to me only at the end of a the day-long workshop. It began with a crucial challenge with which event-organizer Dayna Scott (Joint Appointed with York University's Osgoode Hall Law School and the Faculty of Environmental Studies - the latter being where i am contract faculty) concluded her opening comments following Rob's keynote talk. Dayna has written an excellent review of the book which, in addition to discussing the main gist(s) of the book, draws out some of the implications for the involvement of law in the environmentalism of the poor and the global resistance to slow violence. The challenge that Dayna laid out was a problematizing of the types of stories of slow violence that need to be told. Are the stories necessarily of the catastrophic cautionary what's-happening-to-the-poor-of-the-world-is-coming-your-way variety? (i'm wickedly paraphrasing here and am risking misrepresentation for which i proffer pre-emptive apology). Dayna's question established a fugue in my mind for the day - something like "just what stories do we need to be telling?" And this fugue was added to rather polyphonically by several (if not all) of the other contributions during the day. Usha Natarajan, an assistant professor in the Department of Law and the Center for Migration and Refugee Studies, on the panel "The Environmentalism of the Poor: South and North" addressing the complicity of law in slow violence described a moment of deep concern in which she (as a lawyer, i presume) wondered if she was part of the problem. She concluded her talk by referring to lawyers and environmentalists working together much more in the last five years. This provoked me to think not only about what stories to tell a public we wish to mobilize but also about the stories we need to tell various constellations of activists and other actors resisting slow violence. Additionally i now looked at this gathering of lawyers, legal scholars, environmental scholars and others as an example of the very diversity of actors that we needed forged into a collective subject. And i realized that it was wise not to assume a consensual understanding of slow violence even amongst this group of sympathetic scholars but rather to remember we were in a dynamic (Arendtian?) dialogue in which we were persuading each other of the world we fancied we shared. And, to reiterate, what stories did we need to tell in order to do this well? Amar Bhatia, completing his S.J.D. in the Faculty of Law at the University of Toronto, spoke next and began his talk with one of my favourite questions: what makes a good story? To this he added "what is the potential for solidarity?" (which, he also wondered, might be comparable to "interdisciplinarity" - a keyword when it comes to FES where i teach). Amar's questions and thoughts made me ask, "just who is telling the story?" and "who can tell the necessary stories?" This reminded me of something i've known for a long time and about which i have recently deepened my thinking with Foucault's genealogical treatment of parrhesia (or "fearless speech" - see my recent blogpost about this). Finally, Amar's contributions pushed me to let go of something i hadn't realized i was holding onto so strongly: the idea of the individual storyteller. When Nixon lays out his challenge to "environmental writers [to] craft emotionally involving stories" i naturally (more likely narcissistically) put myself in this picture. And, despite some compelling critique of Wangari Maathai's "celebrity" memoir (pp. 142-144) as well as reference to Nelson Mandela's experience of pressure to conform to the use of the singular "I" rather than his more troubling use of "we" to describe his participation in the anti-apartheid struggle, one of Nixon's focuses is on the "activist-writer" (several of whom i have mentioned above). What writer wouldn't want to be counted amongst this community of courage and talent? Conceit aside, my point is that Nixon's work left me predisposed to think of what various individual writer-activists could do - albeit in relation with (if not accountable to) social movements. But Amar's thoughts provoked me to wonder if we weren't unwittingly buying into the hegemonic notion of the individual subject as the actor that we are seeking both to understand and influence. What if the stories that need to be told simply "cannot" be told by an individual subject but rather should be and must be told by a collective subject. In which case, what does that collective subject look like, how do we create such a thing and just what would the stories look and sound like coming from such? Again to refer to my thoughts on parrhesia: i am persuaded that the kind of truth-act that parrhesia names (the Quaker saying "speaking truth to power" is useful, if not quite accurate, shorthand) is a huge part of what we are trying to enact. But the complexity and often invisibility of power (about which legal historian Douglas Hay said, later in the day, law does a great deal to make so) is such that perhaps only a collective subject can perform parrhesia in our modern, post-colonial world. Finally, and with due respect to how great it was to meet and listen to Rob Nixon and esteemed others, Pooja Parmar, the inaugural Catalyst Fellow and visiting professor at the Osgoode Hall Law School, gave a talk as part of the second panel "Making Slow Violence Visible" that was "worth the price of admission" (mind you, the day was free so let's just pretend for a moment that it cost a few thousand bucks). I can't do justice to Pooja's comments but suffice to say that she brought me to tears. She shared an account from her doctoral field research in which she was documenting some of the struggle against Coca-Cola's exploitation of water in Kerala and the consequent oppression of Adivasi and other poor populations. After a hearing in which several Adivasi folk spoke about their lives (and i'm being very general here because i can't recall Pooja's precise description of events) Pooja had an epiphany (I'm not sure she used that word) about the virtual impossibility of these oppressed and disenfranchised people being able to tell their story in a way most meaningful to them. Pooja's description of this was devastating (thus my tears) and i immediately connected her story with Canadian writer-artist Shani Mootoo's words: "It is a crime that I should have to use your language to tell you how I feel that you have taken mine from me." This illuminated yet another form, brutal and insidious and mostly invisible, of slow violence: a form of totalizing erasure. Pooja concluded with perhaps the day's most challenging caution which i pose here as a question: does the translating of people's stories (e.g. into the language of law) require making invisible certain kinds of violence in order to make other violence visible? This reminded me, as someone who has a disproportionate amount of this world's privileges (white, male, able-bodied, and-lots-of-etc.) that i may never be able to hear the very truths that are most necessary for resisting and stopping the many violences of our world ("slow" or otherwise). I certainly can't imagine that i could be the storyteller of the stories to which Pooja was referring not to mention many others about which Nixon writes and that were referred to during the workshop. But i can imagine participating in a collective subjectivity whose "voice" can tell those stories. Indeed, since a teen i have lived a life devoted to doing this justly (through anti-apartheid work and Nicaragua solidarity work and aboriginal sovereignty struggles and more). Nor am i making a claim that i have done it well. Only that i have striven to do so and strive still. In addition to the stories of slow violence that we need to tell to mobilize a vast public (as proposed by Nixon and with a reminder of Dayna's challenge), what are the stories we need to tell to forge coalitions of actors who can work better together to resist, reverse and, finally, stop slow violence? Given the complexity of the stories that must be told and especially considering the dangers of "translation" as highlighted by Pooja, is the storyteller of slow violence better conceptualized as a collective subject rather than an individual writer-activist? Regarding the first question i propose that Pooja's story (which i have communicated inadequately) is an example of the very kind of story that we are looking for. 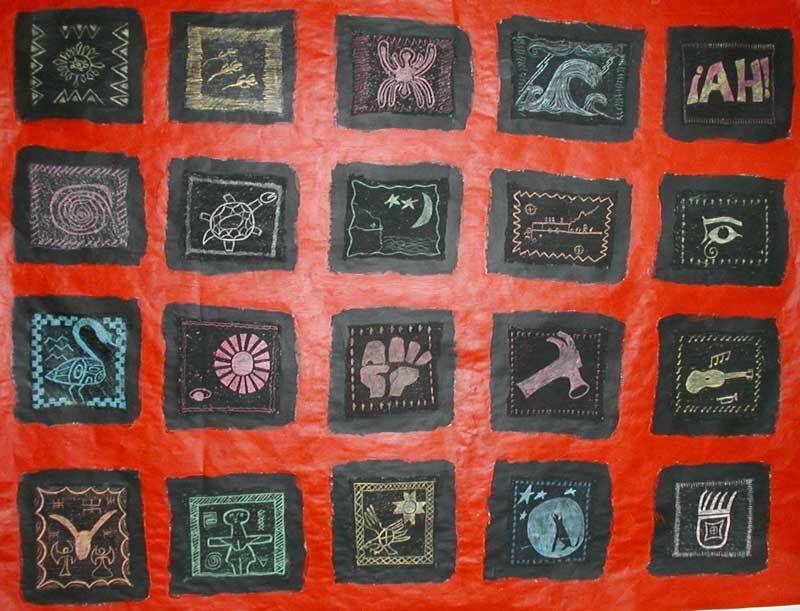 One that has the power to facilitate powerful alliances and shared understandings of resistance. And, apropos of the second question, the collective subject (unruly, heterogenous, situated and highly contingent) of Friday's workshop participants serves as a modest example of the kind of "storyteller" that is evoked in this interesting conjuncture. This is just some of the stuff that troubled and jazzed me about Friday's workshops and Rob Nixon's wonderful book. And i'm still mulling over many thoughts about time and violence. Many thanks for this great post and for sharing your thoughts about the collective subjectivity at the workshop!